The amount that a seller can pay toward a buyer’s closing costs depends upon the type of loan that a buyer is using and the intended occupancy of the property. 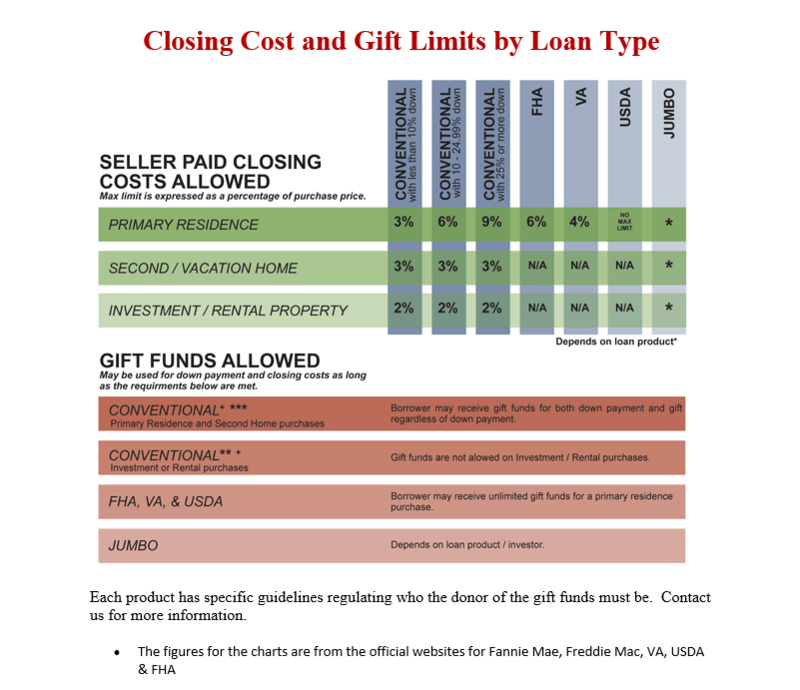 The same holds true for the amount of money a buyer may receive in the form of a gift from someone toward down payment and/or closing costs. Give me a call to discuss your best mortgage options: 859-317-5065 or click here to find out how I can help you get pre-qualified. Need help Budgeting for a Home?